It is very important to us that you know that whatever option you choose your pet is carefully handled at all times and will be cremated on its own. An ashes certificate is sealed in with your pet’s ashes and an In Memoriam card is given back to you from us. We have a variety of options for you to choose from and can help personalise our service to suit your needs. Once you have decided what you would like for your pet’s ashes you can telephone us to talk through everything. We can then arrange the return of your pet’s ashes to you.We only carry out individual cremations and do not take part in mass incineration or the disposal of clinical waste. We suggest that you read the information below before proceeding. Our collection service is completely different to that normally offered through most veterinary practices. Unfortunately we tend to find that the majority of vets do not fully explain the basic “ashes back” service that they offer. The company your vet uses will normally not charge for collection or return as they will be going to the vets in a set area on a weekly basis to collect all the pets (and often clinical waste). This means the transport and handling cost is not the same as us. We will go out in a bespoke pet hearse just for your individual pet when we are instructed to collect them from your home or veterinary surgery. Our service is responsive therefore we will normally collect your pet the same working day depending on what time we are contacted and our availability. We do not carry out weekly collections in a lorry or van and we do not place pets into bags. Instead they are handled with the respect they deserve and transported to the crematorium in a pet hearse. If you would like us to collect your pet then it helps to have 24 hours notice whenever possible, however this is not mandatory. All we need you to do is telephone us on 0115 981 6850 to make the final arrangements. When your pet arrives at Nottingham Pet Crematorium we will give you a courtesy call to confirm that they are safely with us (please ensure you give us or your vet your preferred contact number). When we call you can either explain what you would like for your pet at that time or call us back when you are ready to discuss your requirements. Prior to carrying out your pet’s individual cremation we will ask whether you have any special instructions or wishes. We will also ask if you would like us to take a cutting of their fur or have a paw imprint taken, these are both completely optional. We charge for collections and returns on a mileage basis from your home or vet. Your pet will be cremated as soon as possible. If you are bringing your pet to us you have the opportunity of saying goodbye to them in our Farewell Room. We can also collect your pet from your home or vet and you are still welcome to visit and say goodbye to them in the farewell room at Nottingham Pet Crematorium. The ashes will be prepared and they can be collected or we will return them to your home or vet (usually within 24 to 48 hours). If you prefer we can collect your pet from your home or vet. You are welcome to come and say goodbye to them at Nottingham Pet Crematorium before waiting and taking their ashes home with you later the same day or, subject to availability, we will return their ashes to your home or vet. This service not only means that your pet is looked after the same day allowing you to take their ashes home with you, but it can keep the total cost of the service down as collection/return charges can significantly increase the overall cost depending on where you live. 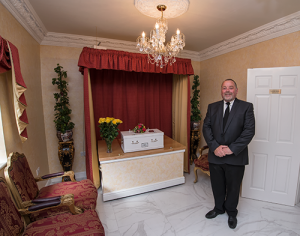 Same Day Cremation Services are not normally available from 4pm onwards Mon–Fri or from 11am on Saturdays. These services do not operate on Sundays/Bank Holidays. Please contact us for further details. Please note the Same Day Cremation Service price (£70.00) needs to be added to our standard individual pet cremation charges. For added peace of mind you can be present as your pet is gently placed into the chamber. You have the choice of saying goodbye to your pet in our Farewell Room before accompanying them to the cremation chamber. We will give you the choice of either watching as they are placed into the chamber or being present but without seeing them placed in. You can then either stay in the local area whilst your pet’s individual cremation takes place or remain in our lounge or garden at Nottingham Pet Crematorium. We are able to provide you with an information on the area if you wish to go for a walk along the local canal or have something to eat whilst we look after them for you. Once their ashes has been prepared you can take them home with you later the same day (normally within 2 to 4 hours). If you prefer we can collect your pet from your home or vet. 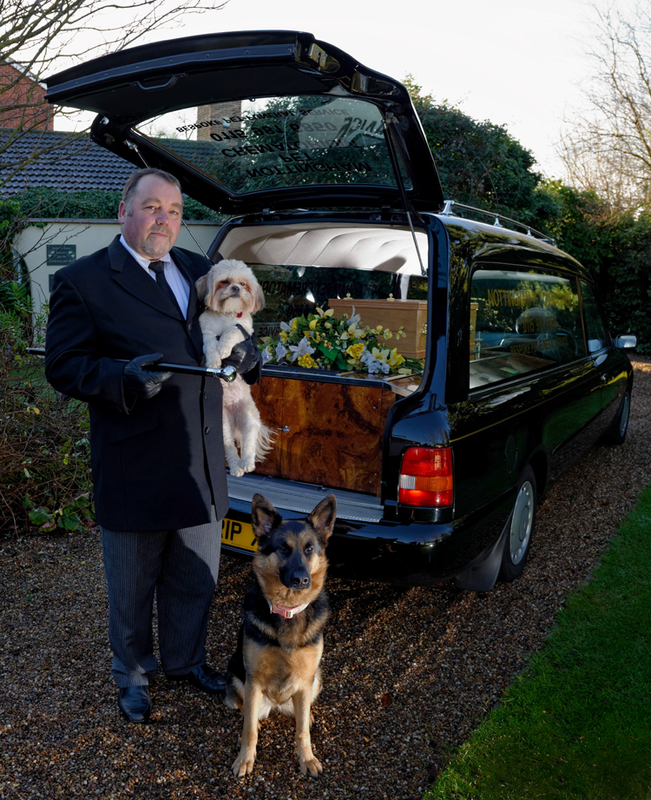 You are welcome to say goodbye to them at Nottingham Pet Crematorium followed by the Attended Pet Cremation Service. The ashes will be prepared for you later the same day or, subject to availability, we will return their ashes to your home or vet. This service not only means that your pet is looked after the same day allowing you to take their ashes home with you, but it can reduce the total cost of the service as collection/return charges can significantly increase the overall cost depending on where you live. Attended Pet Cremation Services are not normally available from 4pm onwards Mon – Fri or from 11am on Saturdays. These services do not operate on Sundays/Bank Holidays. Please contact us for further details. Please note the Attended Pet Cremation Service price (£70.00) needs to be added to our standard individual pet cremation charges.